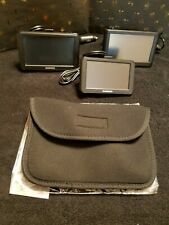 You get 3 gps with mounts and 2 generic cases 3 Garmin GPS with mounts and cords, with 2 generic cases. IPX7 Waterproof. Call Alerts or APP Alerts can also be triggered by motion. Product Features: New 3G product point. Location Monitor. 2, T he sim card need suppor t A ,support SMS GPRS. WCDMA 850/900/1 900/2100MHz (3G version support). GSM 850/900/1800/1900MHz. Web platform(The first year free). (No include SIM Card!). Location accuracy. RAM: 8GB FLASH. 1 x Car Suction Mount. 1 x Car Adapter. 1 x User Manual. 1 x Power Cable. Power Adapter: 100/230V universal power adapter, 5V/1.5A. 1 x USB Cable. 1 x Cradle. Just insert your favorite play list SD card into the slot. The X3-03 moves easily from car to car using the convenient vent mount. Built in stereo speaker. Features & details. Automatic Geo Fence that will set radius (from 1 – 99 km) bubble around the device. (3G support was added Oct 2016). Full 3G Support WCDMA. Motion Detection Alert. Q: Is the magnet strong enough so it wont fall off?. If you don't have access to Wi-Fi – no worries. This device is equipped with a unique feature –SIM card connection. Simply insert a regular SIM card (that allows internet connection) into the corresponding slot and enjoy browsing the Internet on your car monitor! Download unique watch faces and widgets to personalize this Garmin Vivoactive 3 smart watch to suit your style. Stainless steel case. Factory sealed. Built-in lithium-ion battery. Including yoga, running, swimming and more so you can choose how you like to get fit. Record HD Video in 1080P mode. Record HD 1080P Video. 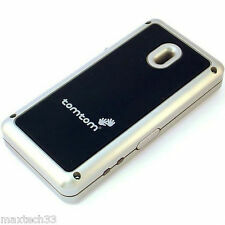 This item we have 3G & 4G Model, if you need 4G model. This dvr support Dual lens video display. It also provides instant video playback. NT99142; 1080P; F=2.0;140 wide angle; Video format: TS. REAL 4G unit can works on 4G/3G/2G network. Most of countries have shut down their 2G and 3G network. 3G WCDMA : 850/900/2100MHz. 3G WCDMA: 850/1700/1900MHz. 3G WCDMA: 850/900/1900/2100MHz. 4G Frequency Bands MT600-E.
2, T he sim card need suppor t A ,support SMS GPRS. WCDMA 850/900/1 900/2100MHz (3G version support). (No include SIM Card!). Web platform&APP(First year free). 1pc USB cable. 120 65 50mm. Location accuracy. Product model: SWM 530. Standby clock display. AUX function. RCA audio output. Bluetooth function (answer/ dial phone call, Bluetooth music player). Radio band: FM1/FM2/FM3. Screen size: LCD display VA.